Freelancer.com is a marketplace of ideas, skills, and talents where anyone can work on what they love. The website has been up and running for about six years now and it has since launched many products and features to help both employers and freelancers get work done. Because of the platform's vastness, it may seem too daunting for a newbie. 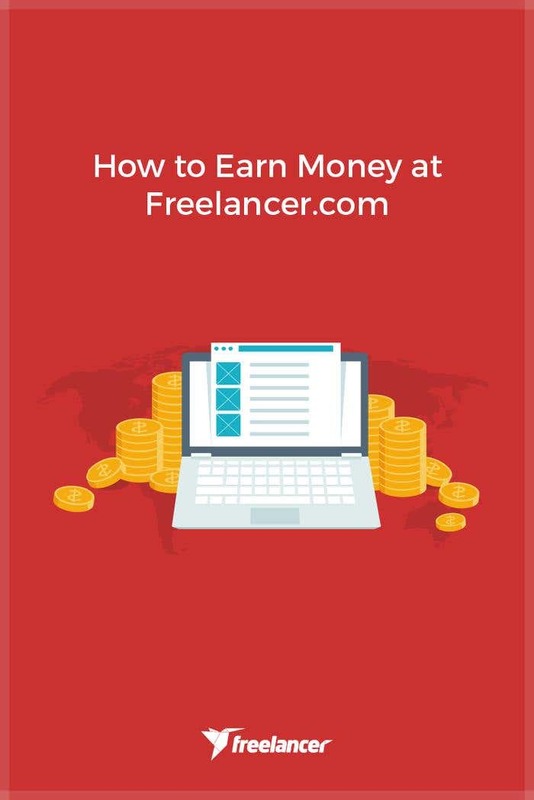 In this short guide, we'll discuss the processes involved in working and earning at Freelancer.com. Step 1: Determine what you are good at, commit to a life of freelancing, and sign up for a Freelancer.com account. Signing up and working at Freelancer.com is absolutely free, but we also have membership upgrades that will greatly help you to earn more, such as getting more bids per month, and a list of skills. Certain projects require your profile to reflect certain skills, so the more you have listed, the more opportunities you get. Head to this page to see what's on offer. Step 2: Set up your profile. We can't stress the need for a complete and presentable profile enough. It showcases your personality, resume, portfolio, and skills all rolled into one. It's also an important tool for persuasion: an employer may completely base his judgment on whether to hire you or not by how well you present yourself. Get tips here: The Secrets of a Winning Profile Page. Step 3: Find projects and start bidding. Earning money at Freelancer.com actually begins here. Hundreds of projects and contests in different categories are posted each day. Find the ones you want to work on by regularly checking the Jobs or Contests page. In the jobs page, you'll see suitable projects open for bidding. For contests, you simply submit an entry. There are over 750 work categories in the Jobs page, from Web development and writing, to marketing and accounting. Certainly, a job that matches your skills is listed here. Before placing your bid, make sure to write a compelling reason why the employer should pick you over everyone else. Not sure how the bidding process works? No problem, we have a step-by-step bidding guide here: How to Bid. Step 4: Work. This might be the hardest but most rewarding step. Before starting work, make sure that both you and the employer are aligned in terms of project scope, deadlines, and milestone payments so there will be no issues along the way. You may want to have a signed agreement in place to seal the deal. All must be clear between you and the employer before you jump the gun – you may be too excited to start working, but keep calm and focus. Once the job is awarded, make sure you impress your employer by being consistent when it comes to timeline, budget, and communication. Use the built-in chatbox to converse easier, or better yet, install our mobile app so you can keep your employer updated wherever you are. Step 5: Get paid and earn five-star feedback. Once you get paid, you can withdraw your money via PayPal Wire Transfer, Moneybookers, or your nominated local bank account (works through our Express Withdrawal System). Also, always aim for five-star feedback – the accumulation of great, quality feedback is a great addition to your portfolio. To keep earning money on Freelancer.com, rinse and repeat steps three to five. If you have any questions, check our FAQ or comment below!